Your profile picture and headline are two of the most important and most viewed elements of your profile. Having a profile picture makes your profile more likely to be viewed by recruiters and future employers. 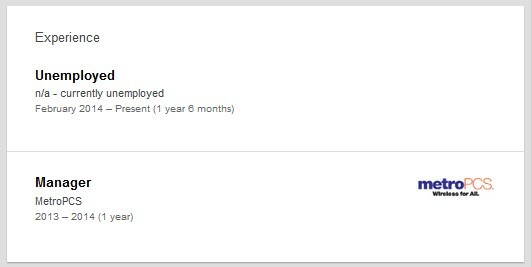 Instead of ‘unemployed at n/a – currently unemployed’, use your headline to give a quick summary of your background and the type of position you are seeking. One example of this could include ‘Experienced Retail Manager Seeking Position’. Adding a summary section to your profile would allow you to give an overview of your experience and explain more about types of positions that interest you. You could also attach your resume to this section to provide your full background to interested future employers. Your experience section should expand on the information listed in your summary. Consider adding more of your experiences, such as your past experience and your duties, to this section. LinkedIn allows space for up to 50 skills to be listed in your skills section. Your profile currently has 0 skills listed. Having skills related to your previous positions and the position you are seeking will give your profile visitors a better understanding of your abilities. You currently have 2 connections. Adding connections, including friends, family, and former coworkers will increase your chances of your profile being viewed by companies that would be interested in hiring you. 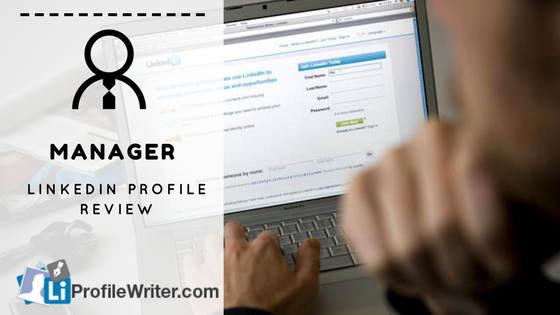 You might be also interested in our retail manager Linkedin profile review. The LinkedIn profile for managers must have at least 50 or more connections. This is actually helpful to attract more employers. The mistakes of grammar definitely sound weird. Therefore, try to avoid making such mistakes. The managerial skills are prioritized by employers for this post. You also have to write about having best communication skills. If you’re wasting space given for summary, you are making a big mistake indeed. Try to utilize this space in a proper manner. The headline plays a vital role to incline readers towards reading about you or to be added to your connections. The real and attractive personal photo brighten up chances to provide you a good job. The URL should be customized and you need to get it in this form. Never compromise on it for sure. The Right Up Front order is important for using the numbers. For the best advantage, one needs to use the target job descriptions. This is what everyone needs to do for creating an ideal LinkedIn profile. Last but not least, add all the fact-based information. First of all, one should try to update all the information by reviewing profile at least once a week. The info about the firm (where you’re employed) must be checked regularly. Any updates on the page of your corporation need to be corrected on your page as well. The pages of professional and successful managers should also be seen for more guidance. It is workable to change the order or sequence of your work experience in the profile. This seems unique idea to grab more attention of the recruiters. If you’re a professional employee working for a firm or being unemployed, it is definitely important to create your personal blog or website. The more online presence and followers on different platforms highly appeal the employers. The connections need to be assessed thoroughly. Review each of your connection/contact to know who’s beneficial for you and whom should be deleted. Try to add people who’re already employed as managers in different firms. This will be more helpful for you. Follow all of the shared instructions. You might be also interested in our medical Linkedin profile review. The location and industry must be mentioned in the profile so that employer offers you a relevant job. Never make any grammatical errors in the content you write in the profile. The spelling mistakes also raise many questions especially on the education of the candidate. Connections can make it simple to get more and more opportunities for jobs. Do you have a personal blog? Or a YouTube channel? You need to post the evidence of your professional work on the profile. Don’t imitate or copy the content especially headline, status or summary. This can have a bad impression on the employer. 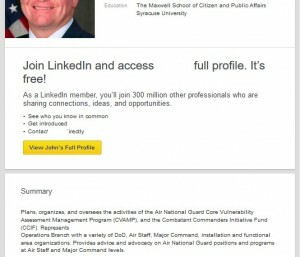 If you are a professional security forces manager and doesn’t have a LinkedIn profile yet, you can create today. It’s never too late. Neglect the use of buzzwords. Such phrases are enough to have a bad impression of you. Don’t add the long sentences and avoid the use of repetitive words. Every expert security forces manager is aware of their highly responsive duties. From providing security to organizing and planning, this job becomes sometimes tough to be handled. Therefore, it is better to write all the true info on your profile for avoiding any issues later. Once you are selected for an interview or get a call for a job, you will be asked for each and everything added on a resume and LinkedIn profile. So, follow the major suggestions and make updates for sure. This is as important as getting a good job for you. Start writing in your own words. Make a list of all major headings and text to be included in it. Then, rectify the currently written data. Head to the section of the summary to view that either the added information seem new or it must be updated. The education history and work experience section must have dates and years as well. Never forget to mention when you’ve passed the exams and when left the certain job. Update the headline and status. Both are important elements like using the recent photograph on the profile. Therefore, never do any compromise on these three major components. 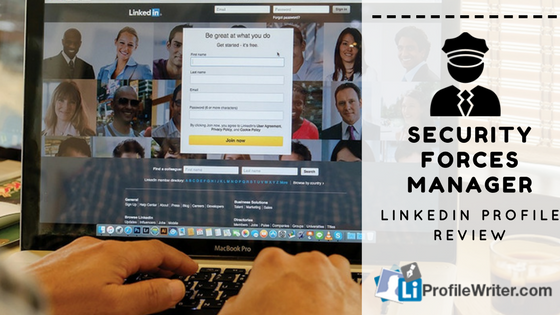 For more LinkedIn profile tips and tricks, feel free to contact our team right away!